Supernova iPTF14hls may have been the most massive stellar explosion ever seen. The researchers used the Hubble space telescope to find the galaxy and confirmed its age and distance with instruments at the Keck Observatory in Hawaii. 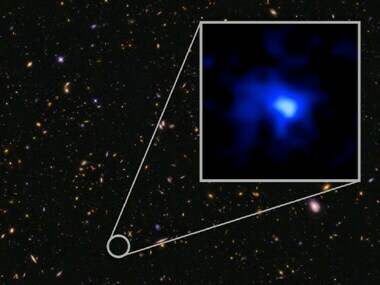 An international team of astronomers has said they have discovered the most distant galaxy ever measured in the universe.